The approximate average monthly cost of care for Council Grove Assisted Living is about $3,331. The Council Grove average for this level of care is about $2,975. The estimated average cost of care in Kansas is approximately $3,730, which is above the national estimate of $3,500. 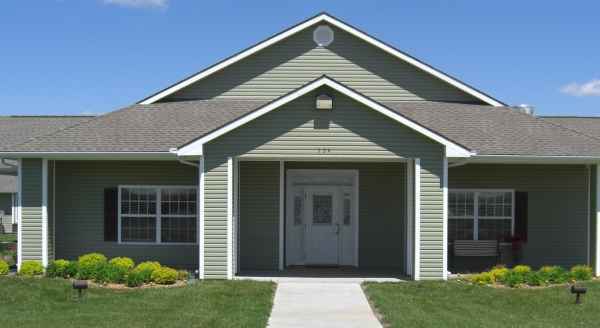 Council Grove Assisted Living is a senior living community situated in Council Grove, Kansas. The neighborhood this community is located in is sparsely populated, including around 3,504 people in the zip code of 66846. It is a primarily middle income area, with a median household income of $39,230. The residence is located near numerous local conveniences, such as retail shopping, healthcare services, and religious services. Council Grove Assisted Living offers assisted living. The community is a good choice for those who have mobility but may require some assistance with completing day-to-day tasks like showering, preparing meals, and housekeeping. This provider boasts various health services that include help with medication, vision care, general help with personal care, dental care available, and hearing care. Additionally, they offer different personal services like help with money management and dry cleaning services. Finally, they offer different room features such as safety and handicap fixtures, on-call maintenance, central air conditioning, and regular maid service.